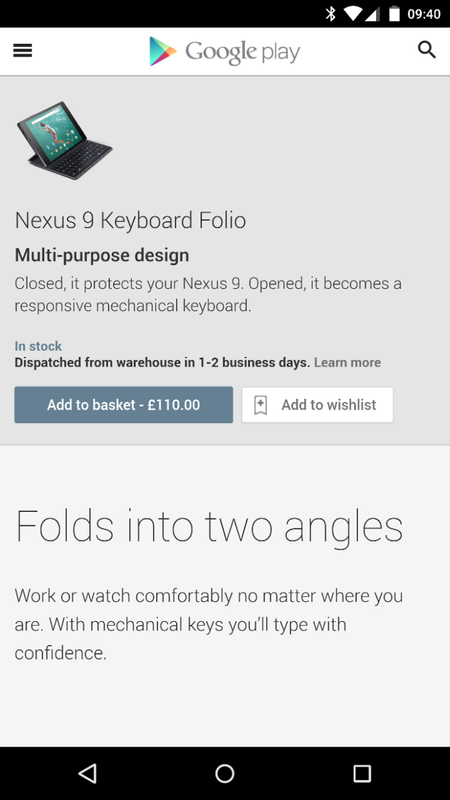 The wait is over the Nexus 9 Keyboard Folio. It is now on the Play store along with the Magic Cover. They are available for £110 and £35 respectively. I have not had hands on with the keyboard but it does sound like it could genuinely make the tablet even more functional. This will turn it into a full productivity tool, especially with Android Lollipop on board. Whilst the OS can’t actually perform split-screen, it is easy to multitask with. The magic covers are based on the origami-style multi-fold cover that we have seen utilised in the past on the Memo tabs from Asus. If you want to read about how our friends at PCMag found the keyboard folio then follow this link. 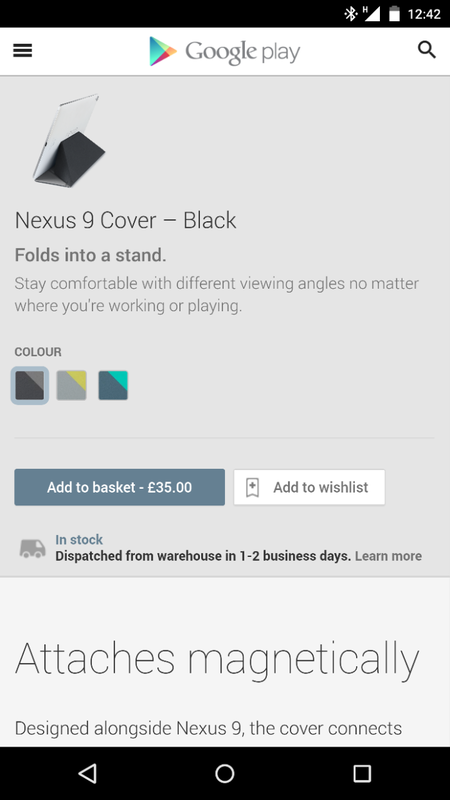 You can buy the device here and the Folio case here.